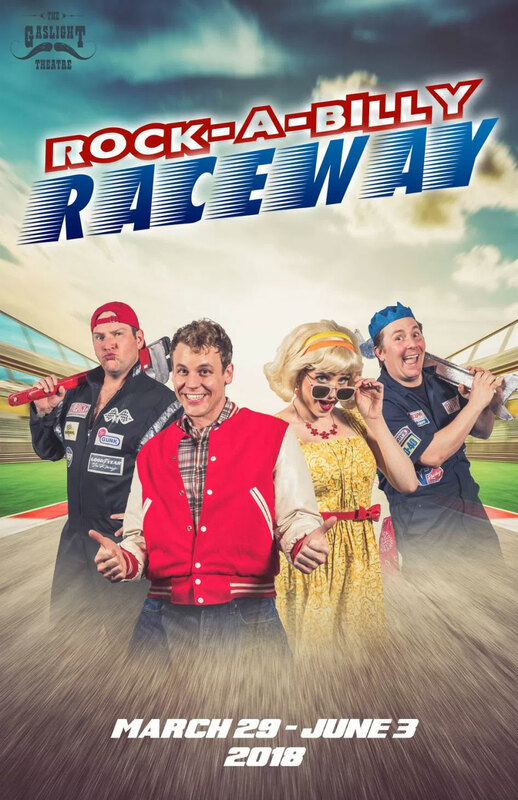 Gaslight Theatre Presents: Rock-A-Billy Raceway! Call the box office today before tickets are gone! #520-886-9428. For more info. on The Gaslight Theatre, visit: www.thegaslighttheatre.com! The Gaslight Theatre online for more information. For more than 40 years, The Gaslight Theatre has provided Tucson the finest family entertainment in Arizona. We have musical comedy melodramas 6 nights a week, and 5 different shows per year. Westerns, sci-fi spoofs, our famous Christmas Shows, and everything in between- you can find it all here at The Gaslight! Cheer the hero and Boo the villain while enjoying your favorite beer or soft drink, pizza, ice cream, and mountains of free popcorn! We also have concerts every Monday night! Here at The Gaslight, we’re about great entertainment, great food, low prices, and giving you a fun place to forget about your troubles, sit back, relax, and laugh!